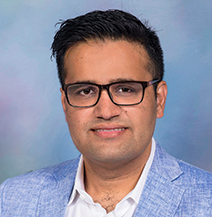 Farhan Majid, Ph.D., is the L.E. and Virginia Simmons Fellow in Health and Technology Policy. Majid’s research examines the effects of government policies to reduce poverty as well as social inequities related to hunger, health and well-being in low- and middle-income settings. He also studies the role of health and nutrition policy in global economic development. Majid’s research has been published in economics and public health journals and cited by media outlets. He has received grants from the Hewlett Foundation, Grand Challenges Canada, The Canadian Institutes of Health Research and the Social Sciences and Humanities Research Council to fund his work. Partnering with local and international collaborators, Majid’s research program connects information from household surveys with global policy data, conducts international field work, and utilizes econometric methods to investigate causal relationships between social policies, socioeconomic factors and health outcomes prioritized by the United Nations Sustainable Development Goals. Majid received a dual A.B. and A.M. in economics from Washington University in St. Louis and a Ph.D. in economics from the University of California, Riverside. He previously has worked as a postdoctoral fellow at the University of Pennsylvania and McGill University. 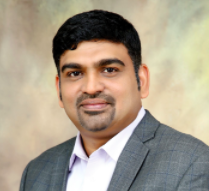 Mr. John W. Varghese, most recognized in Fort Bend County as being an award-winning Realtor and successful Mortgage Broker, wears several hats. His ambition to build successful businesses is matched by his passion for philanthropic and humanitarian efforts. In 2009, John founded the humanitarian organization “Let them smile again”; a Medical Mission group that takes Medical professionals overseas with surgical equipment & supplies, performing urgent care surgeries in under-developed countries. John coordinates all medical, professional & financial aspects, planning 1-2 trips per year. He proudly sits on the board for Surgical Volunteers International, feeling humbled and privileged to carry out missions on their behalf. By day, John is the CEO and Principal Realtor at Prompt Realty and Mortgage. Since 2004, he has been making the dream of home ownership a reality for residents all over the Houston Metropolitan Area. His other businesses include Prompt Source, an exporter of petro-chemical, oil & gas parts to the Middle East, as well as being a CEO of Pentagon, one of the world’s top web development companies with a global reach to UAE, Australia, New Zealand, India, Canada and USA. Surgical Mission Work: Traveling for Smiles! Sarah is the Senior Project Manager of the Global Innovation Center at Baylor Global Initiatives and works to turn conceptual ideas into affordable healthcare products for the global market. 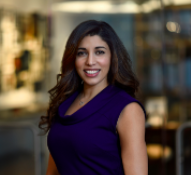 She manages a diverse portfolio of $3 million in grant funding cultivated from USAID, Paul Allen Foundation and the Gilead Foundation and all ongoing projects for the Global Innovation Center including the Global Health Hackathon. She works to bring concepts derived from this event to tangible products that can be used in the global health setting. Sarah Michel completed her Master of Public Health in Management, Policy and Community Health with a Concentration in global health at the University of Texas Health Science Center in 2010, where she worked with the Global Health Council and co-founded the Student Society for Global Health. Michel earned her Bachelor’s degree in journalism from the University of Texas at Austin. In 2006, Michel co-founded Agape Jubilee Inc., a 501© (3) nonprofit that supports oppressed Christians of Egypt and Sudan in order to meet their most basic needs. For the past ten years she has worked to maintain this organization that aims to educate, inspire, and mobilize individuals to bring lasting support and change to the impoverished people of Egypt and Sudan. 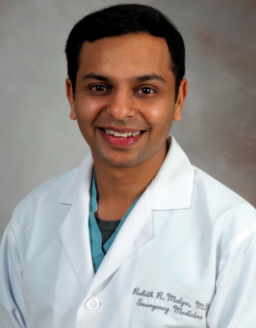 Rohith Malya MD MSc FACEP is a Clinical Assistant Professor of Emergency Medicine at UTHealth and UTMB and a founding board member of the Wainerdi Global Health Roundtable at the Texas Medical Center. He is a past Chief of the Division of Global Health and Global Health Fellowship Director at the UTHealth Department of Emergency Medicine. He is an advocate for the development of emergency medicine in Asia Pacific, and his research interests center on the care of cardiovascular and neurovascular emergencies in resource-poor settings.